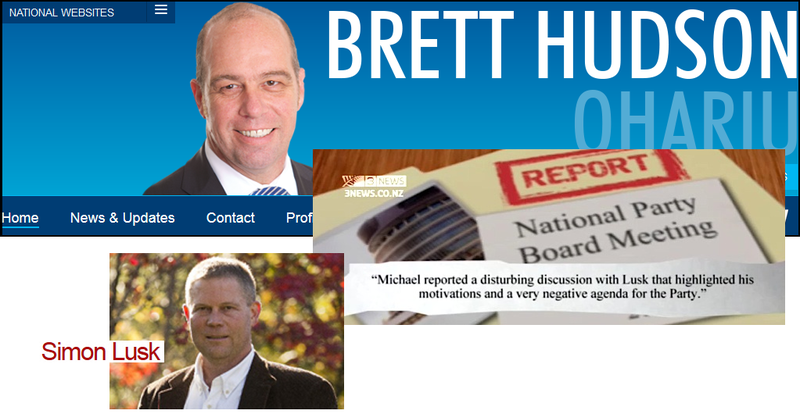 At a meet-the-candidates public meeting in the Rongotai Electorate, National’s Ohariu candidate, Brett Hudson, confirmed that he had been approached by “a mate”, who passed on a message from National Party operative, Simon Lusk. Well done Frank. Keep asking the questions. 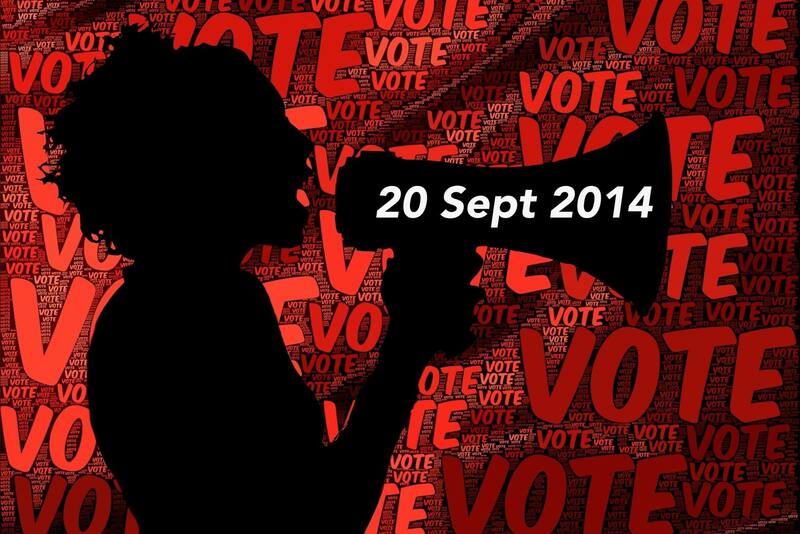 The behaviour described in Dirty Politics is not ok, whether it involves National or Labour. I also note in the picture above that Kelvin Davis is a friend of Lusk. If true? Hummmmm! And Nash? I would like to see an update if you get a response from him. It is these small things that worries me about the Labour Party. I can’t trust Labour yet! Good on you Frank. It takes a lot of courage to stand up and ask those sorts of questions in a potentially hostile environment. You are doing the work paid journalists should be doing. Given that they aren’t, I think you are showing just how respected bloggers can easily step into a journalist’s shoes, get the story, and have it published for thousands to read. You have stepped into a brave new world. Hardly a surprise re: Nash is it? 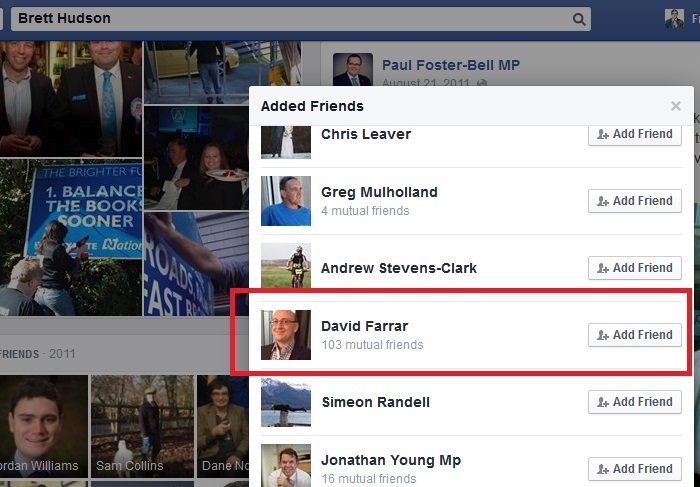 He is one of the few Labour MP’s Whaleoil seem to dig, rarely has anything bad to say about him. 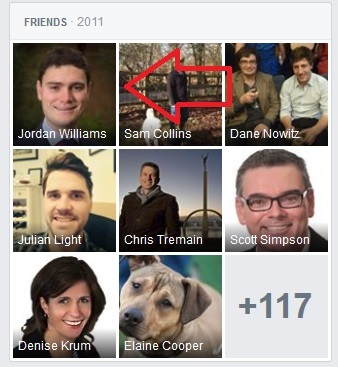 I noticed Kelvin Davis being friended by Lusk as well. That’s dangerous company our Kelvin keeps. Good job Frank. And very disappointed at the hectoring you got from those feral geriatrics. And people wonder where the young learnt to burn effigies of an unpopular PM?? Good work on your behalf Frank. Thank you. 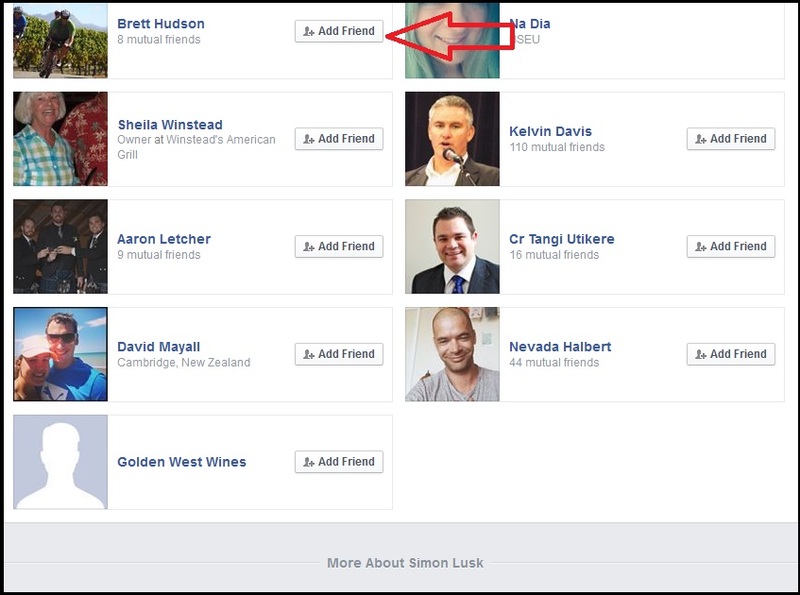 I was somewhat surprised to see Kelvin Davis is marked as one of Simon Lusk’s Facebook “friends”! Bit disturbing. Perhaps I have missed something here, but why was National’s Ohariu candidate campaigning in Rongotai? Doesn’t National have a candidate there? To be honest, I am surprised that the left can’t see the ‘black ops’ currently being practised by the right for what it is. Yes, I know Simon Lusk as he lives in the Bay. We have actually worked on a project of mutual interest – the battle to get a degree of transparency at the HB Regional Council with regards to the Ruataniwha Water Storage Scheme. Simon was actually working with MPs from Labour, the Greens, a number of local Nats and a couple of ACT people, as this is very much a cross-party local issue. Simon is not working on my election campaign, I have never paid him for any services, and there is no agreement re Mana-Internet. I am also very disappointed that people are trying to link Kelvin’s campaign to Lusk. I am a huge supporter of Kel and think he is a great candidate and is a fantastic MP who will continue to make a very valuable contribution to Labour, his electorate and NZ. I am 100% supportive of him going incredibly hard to win his seat. Also be aware that the Nats are playing ‘divide and rule’ politics with candidates like Kel and I when they link our names to Lusk and Whaleoil. Joyce in particular, Key in the past and now Finlayson, have all linked my name to such rubbish. Whaledump, however, has come out and said that he has nothing on me – which I always knew. This is about trying (unsuccessfully) to discredit a candidate who has the chance to win back a seat for Labour currently held by the Nats. Pretty obvious and rather crude I would have thought. If we allow their lies to become truths then they have won that battle. Personally, I couldn’t care less what Finlayson, Joyce or Key say about me, but it does surprise me when Labour people start believing their rhetoric, because it means that their lines are beginning to get cut-through. Please be assured, that I would not be standing in Napier for Labour, I would not have run a 3 year campaign to win this seat and the right to represent Labour in parliament, and I wouldn’t be putting a bunch of very good volunteers through hell if I wasn’t Labour to the core. All starting to sound a bit like Sun Szu’s art of war – the spy and counter spy section. Mix in a little divide and conquer from Imperial Rome as well…..
Just so long as our politicos keep their noses clean…..that is all. If i see NAsh at any of his street corner meetings here in Napier, ill ask him myself Frank. Dead keen to find out the answer to this, as well as if he was the one who was ‘furious’ at Cunliffe for having three days off. Matthew, we have held over 120 street corner meetings so far and we are holding another 12 this weekend, however, this is the last weekend we are holding them before the election. So stop making trouble on this blog and put your money where your mouth is and turn up. As always, the meeting times and locations are all advertised in the double page spread of the Napier mail. I feel a little disappointed that your response has not been properly acknowledged- i think its a good response- kudos to you.